This post is in collaboration with our friends at Article. 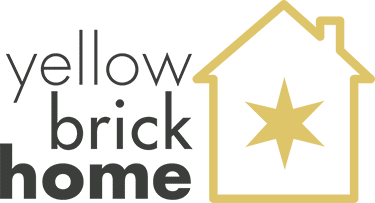 Keep reading for a (really) big giveaway, and in the meantime, take $25 off your first purchase of $100 or more when you visit article.com/yellowbrickhome through March 13th! Tree House has us bouncing from project to project – the kitchen, the mudroom, the guest room(! ), the baseboards and the window trim and the door trim! We’re here and there; we’re everywhere. As we work on pulling these separate spaces together, we’re careful to create some sort of consistency. Although each room serves its own unique purpose, we want the whole of Tree House to feel pulled together. We want it to flow. We want it to make sense to the point that you’re not even noticing how casual and cozy it feels – at least, that’s the goal. And in the midst of all the planning and chaos, we knew one thing for sure: We needed a place to land, comfortably, at the end of those long work days in our Tree House, just as we do back home. In continuing the Michigan-dinavian theme (I’m sorry), we’ll be tossing in thick textiles, bold contrast (the guest room has another thing coming!) and warm leather. We want the items and finishes we choose in this home to last for the long haul, and so with every decision, we’re considering longevity and always asking, how will this wear with time? Several months ago, we made one of our easiest decisions yet when we added the Mello Taos Brown leather sectional from Article to the living room. There’s not a baseboard in sight and there are paint swatches on every wall, but priorities. It has been the best place to land after a full day of DIY. We chose the left arm chaise and paired it with the right arm sofa, which gives us almost 10′ of lounging! (Unbeknownst to either of us – but for good reason! – Julia and I had been planning on the same sofa all along. We both got a laugh out of that one!) We’ve received a lot of questions on the comfort of our Mello, and we purposely waited to write a review extensively. The day our Mello was delivered, we were elated. The leather is soft but strong, and the ease of keeping it clean is a huge perk! The cushions are on the firm side, but the thick foam padding gives just enough. The sofa back and arms are noticeably low, but they’re the perfect perch for our arms, heads and backs. It looks substantial because it is, but the clean lines and lack of visible feet keep it from overwhelming the room. It’s fuss-free, cool, and laid-back. Now, almost three months later, we’ve said to each other, should Mello live in our (Chicago) home, too? In other words, we couldn’t be more pleased! We’ve watched Christmas movies, countless old episodes of Will & Grace, the Super Bowl and Oscars from this couch. We’ve curled up with take out, wrapped ourselves in wool blankets and nursed Lucy to sleep. There is natural wear that has barely started to happen to the leather – a result of dog paws and nestling over and over again into our favorite spots (dibs on the chaise, always!) – and we can’t wait for that patina to deepen over time. Using the Rafflecopter widget below, enter as many ways as you’d like. You must be located in the United States or Canada to be eligible. This giveaway runs through Friday, March 9th until 10pm CST, and the winner will be contacted directly. 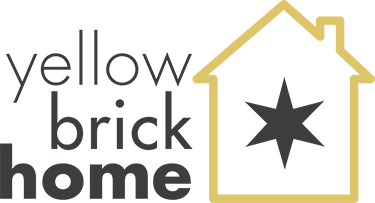 And just for fun, Article would like you to take $25 off your first purchase of $100 or more when you visit article.com/yellowbrickhome through March 13th! Psst! Most of the items in our Tree House can be found right here. love everything about Article. Currently loving Timber Charme Tan Sofa. Would love an Article sofa for our living room! I have my eye on the Luxu :-). I love the mello that you guys chose! I love the Oscuro dining table! So cool! We, too, are working on our Michigan-dinavian cottage getaway and I’ve had my eyes on this sofa since we framed out our cozy living room! Article has definitely nailed the look, good to know that they are comfortable too. They’ve come out with so many good ones but I’ve got to say the Sven sectional in velvety blue is still my fav, so drawn to that one! I have been eyeing the Article website for eons. I am on the hunt for new chairs for our lake house and really live the look of their mod blue berry armchair. I’m on the hunt for a great sectional for our basement and it looks like article has so many great options! HOW DID I NOT KNOW ABOUT ARTICLE BEFORE? I’ve been following Article for a bit. Love seeing that sofa in action! I may not have considered it if I hadn’t seen it in your space. Sven in the 72″ length! But leather or velvet??? And the Luna chairs would be perfect on my balcony. I love seeing what you’ve done with the Mello Taos brown leather sectional – it looks amazing!